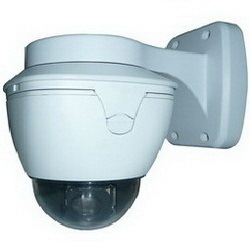 Internet Protocol Cameras (IP Cameras) are a type of security camera that is able to send and receive data via computer networks or the Internet. This networking capability allows IP cameras, often called Internet cameras, to be a great solution for a broad range of security applications, including surveillance, job site monitoring, retail security, online marketing and PR. With the advantages of IP cameras, you will be capable of monitoring multiple sites through recorded or streaming video, from literally wherever you are. - 24 window blanking give you the flexibility to protect confidence. - 128 presets positions with user-defined titles. AVD5442 is a 1.3 megapixel (1280x1024) network camera designed with Industry leading image quality and high performance processor. It complys with latest ONVIF IP standard making you are very flexible at the choice of software. Designed to install conveniently, It allows flexible mounting on wall, surface and versatile adjustment by panning, tilting and rotating the varifocal lens to any camera angle. AVD5442 also comes with professional client software for powerful remote setup and administration. Up to 32 cameras can be viewed on the same screen. It also uses standard web browser for remote control. G25IP-HD10SN features great HD video quality (1080i or 720p ) and performance including the benefits of H.264 compression. 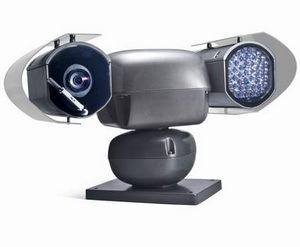 This mini HD IP PTZ even has powerful zoom capabilities with either 120x total zoom (10x optical zoom with 12x digital). With a new Day/Night capability, the G25IP-HD10SN offers optimal sensitivity in changing light conditions. As the scene darkens, an infrared filter is automatically replaced with a clear filter, and the camera switches to black-and-white mode, allowing for operation at a minimum illumination of 1 lx (F1.8, ICR ON with 50IRE). Copyright © 2011 Destined Commodities Inc. All rights reserved. 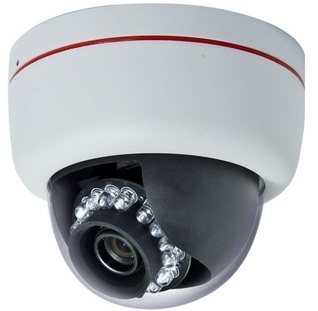 IP Security Cameras You Can Count On! and we can help you find a camera system that can effectively fit your needs.